Designed with the classic LEGO® brick in mind, these premium ABS plastic materials are perfect for any brick or other plastic toy render. The materials are physically accurate down to the scratches, dust, and fingerprints, and look great in any lighting condition. If you want to make adjustments to the materials, there are plenty of exposed parameters for you to tune to your needs. Adjust color randomness, roughness (mix 2 roughness values), reflectivity, fingerprints and dust, scratches, and much more. Creating your own ABS Plastic colors is as easy as changing the diffuse color! NEW in Version 2.0 – The materials ship with an addon adding sliders to the Material settings menu, allowing you to control the amount of subsurface scattering, reflection, fingerprints/dust, and scratches/bumps for all of the materials at once. We're proud of our work on Bricker – an addon for blender that converts any 3D mesh, animation, or simulation into a 3D brick sculpture/simulation – and we want to provide the most efficient workflow for turning those into awesome 3D renders in cycles. So, naturally, we designed this plugin to work seamlessly within the Bricker interface. 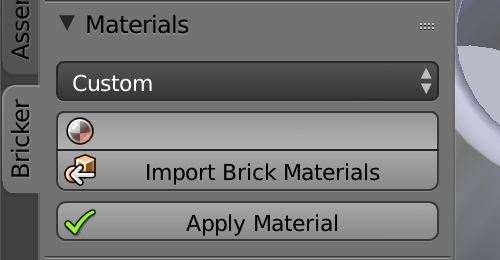 If the materials aren't already imported into your project, you'll find a handy 'Import' button right where you need it in the materials tab in Bricker! 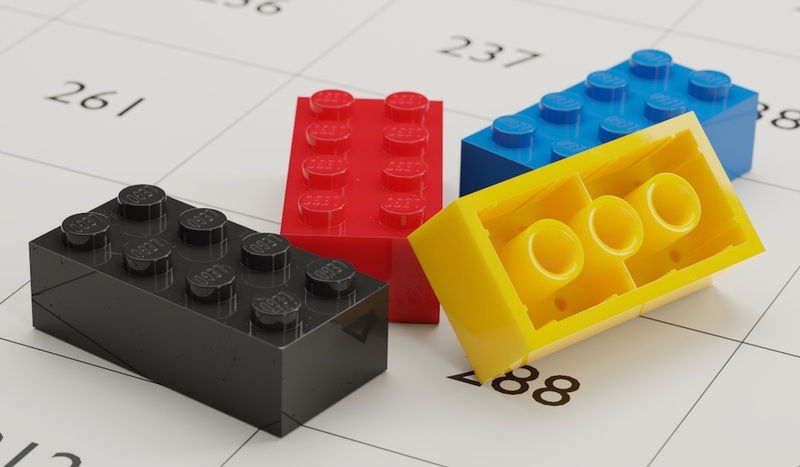 ABS Plastic materials comes packed with 36 materials based on the official LEGO molding color palette. Every common brick color is included, along with special/rare colors including Gold, Bright Light Orange, and Trans-Reddish Orange. If the color you need isn't included, simply create your own by changing the diffuse color and tuning the exposed parameters to your liking! Added support for EEVEE realtime render engine! 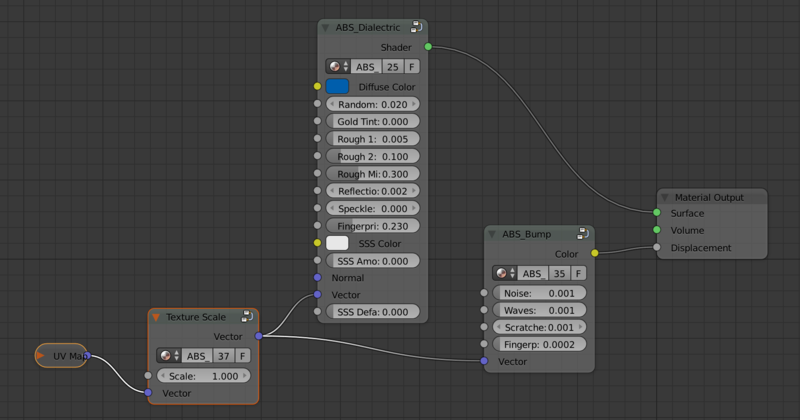 ABS Plastic color values are now rendered in the Viewport solid view! Bug fixes (some diffuse and specular maps were missing). To import the ABS Plastic Materials into your project, open up Material settings in the Properties window and click 'Import ABS Plastic Materials'. 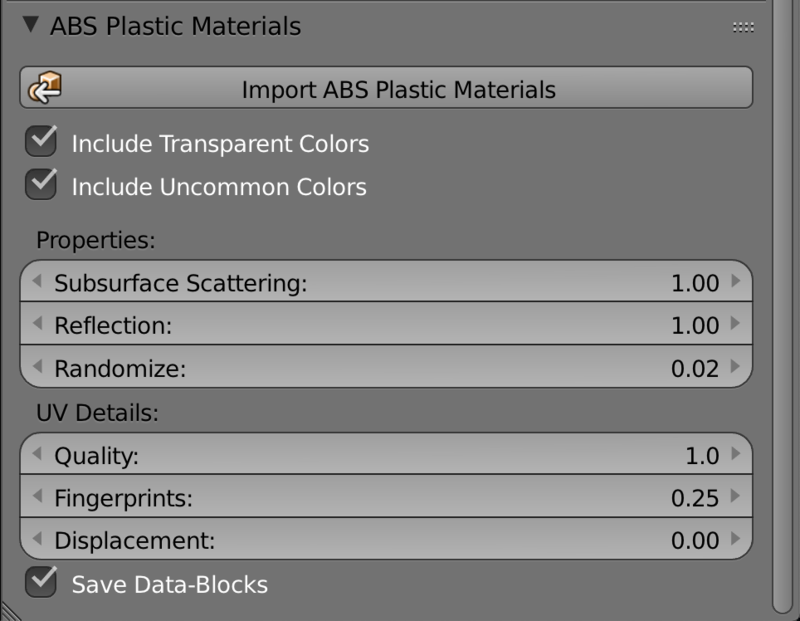 Control the amount of subsurface scattering, reflection, fingerprints/dust/scratches, and more for all ABS Plastic materials using the sliders found in the Material > ABS Plastic Materials tab. NOTE: The ABS Plastic Material nomenclature is based on the 'Common Names' outlined here from the official LEGO color palette. Metallic – Mix between dielectric (diffuse and specular with possible transparency) and metallic (fully specular with complex Fresnel). SSS Default – This value is used by the ABS Plastic Materials plugin for universally adjusting the SSS amount, so you can leave this alone. You can download ABS Plastic Materials from your account dashboard on the Blender Market, assuming you’ve already purchased it. The easiest way to install ABS Plastic Materials is to do so directly from Blender. You can do this by going to File > User Preferences > Add-ons > Install from File. This will open a File Browser in Blender, allowing to you navigate to and select the .zip file you downloaded. Press Install from file. If your browser auto-extracted the downloaded .zip file then you will need to re-compress the ABS Plastic Materials folder before installing. Once installed, Blender should automatically filter the addons list to show only ABS Plastic Materials. You can then enable the add-on by clicking the checkbox on the upper right of the add-on panel. Absolutely! The ABS Plastic Materials work like a charm on Windows, Mac OSX, and Linux alike. Is ABS Plastic Materials compatible with Blender 2.8? Yes, the ABS Plastic Materials work perfectly in Blender 2.8 and look great in the EEVEE render engine! NOTE: Blender 2.8 is still in Beta, and every day a new build is released which could introduce compatibility issues with ABS Plastic Materials. If you run into an issue, first make sure you are using the latest 2.8 build from blender.org. If the issue persists, be sure to report the issue in an email to [email protected] and we will address it right away. All updates are free! ABS Plastic Materials is frequently updated with additional colors and other features, so keep your eye out! How do I get the newest version of ABS Plastic Materials? The easiest way is to Log In to the BlenderMarket, go to your Account, then under the Orders tab you should see ABS Plastic Materials in the list, which should have a link on the right-hand side to download the newest version. If you are on a PC or Linux system, you can also update via the addon preferences for Bricker within Blender (Addon updater coming to Mac OS in Blender 2.8). How do I create my own ABS Plastic color? Navigate to the Material Properties menu, choose an ABS plastic color similar to the one you wish to create, and click the plus symbol next to its name to create a duplicate of the material. Now all you have to do is change the diffuse color, and tune any other parameters to achieve the look you're going for! Why do the transparent bricks look so dark? Transparent bricks distort light rays as they pass through, and in real life those distortions cause reflective and refractive caustics to illuminate surrounding objects. In Blender, this effect can be enabled in Render > Light Paths > Reflective/Refractive Caustics. If they still seem dark, you may need to turn up the number of light bounces for Transparency and Transmission. Why aren't the fingerprints, dust and scratches showing up? Dust and fingerprints can be controlled with the Fingerprints slider in the Materials > ABS Plastic Materials tab, and the scratches and bumps can be controlled with the Displacement slider. Make sure that your meshes are unwrapped in edit mode (3D Viewport > Mesh > UV Unwrap > Smart UV Project), and be sure to light the scene so that the bricks have specular highlights. This add-on saves my time to adjust the colors. Good job Chris! That’s great to hear; thanks for the review! Glad you like it d1a1v1e11! Remarkably accurate surface texture, sub-surface scattering, specular highlight reflectivity, and, of course, color. Particularly welcome is the clear plastic material! Finally! This is a wonderfully faithful material set for ABS plastic.